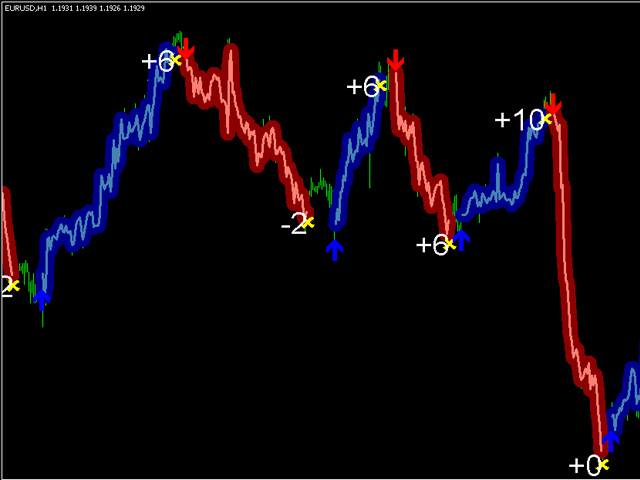 Forex Gump Pro is a new indicator of the forex gump series. The product is a ready-made forex trading system. 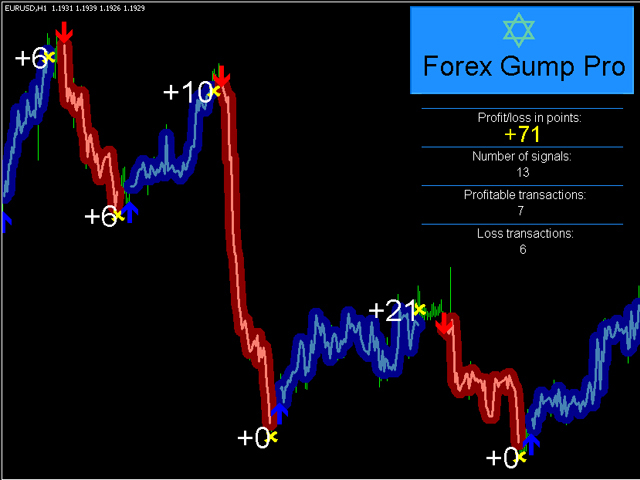 Forex Gump Pro works in semi-automatic mode showing order open and close points on the chart. During its operation, the indicator counts and displays data on the number of profitable and unprofitable signals, as well as the level of total profit and loss in points. The signals are simple. Blue arrow - open buy order. Yellow cross - close an order. Red arrow - open sell order, yellow cross - close an order. With properly configured parameters, the signals show almost no lag. 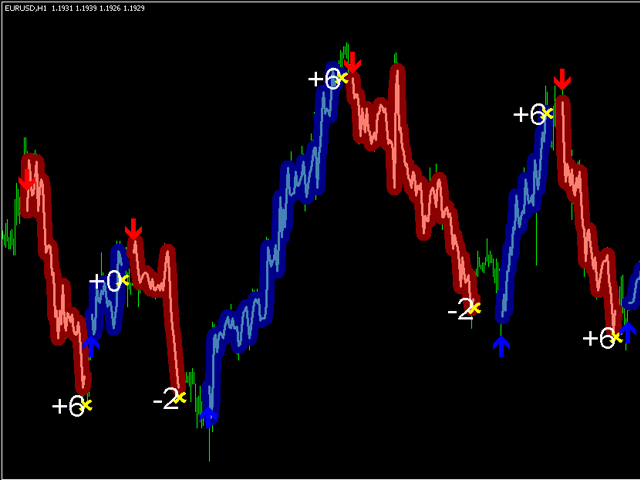 The indicator works on all pairs and timeframes. Completely ready-made trading system. You only need to open and close signals. Information - enable/disable displaying extra data on the screen. Short_Wave - trend wave amplitude. This parameter indicates the calculated trend wave. The higher the value, the longer the trend wave. Date_start - date the display on the chart starts from. 0 - work on all history bars. Color - logo and extra data color. text_size - info text size. Customer service is poor very very poor had very big losses for this indicator and no response from developer I want a refund for this garbage indicator. Indicator is very accurate. Arrows on chart do not draw correctly in real-time, but as another reviewer said, if you follow the main lines, it works great. The hard part is finding good settings. It takes a long time to find the right settings, for each timeframe/pair. Customer service is ok. They will NOT help you find good settings. Wish the developers would fine tune the indicators that they have by using the comments here. An optimizer written by the developers would be awesome! But I don't see that happening. what is the best parameter at chart?